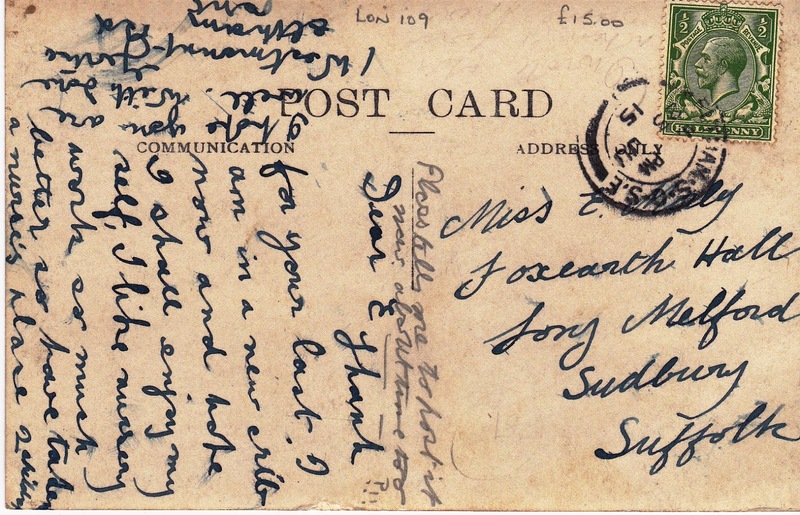 Recently I was with Gertie about to send her postcard from Westmount Road in 1915. She was keen to tell her friend E of how “I like the nursery work so much better so have taken a nurse’s place 2 children." And it may be that her employers were the Clutterbuck’s who were in the house just four years earlier and at that time employed a child nurse for their daughter Jessie who was then just two. I would really like to have found out more about Gertie but to date this is the only reference we have. It is one of those frustrating things that sometimes people just fall through the cracks. Not that I haven’t given up hope of tracing her, and the first long shot might be E whose surname we have and an address in Sudbury. But as ever it is the people of property who leave more of a trail, and so it is with Lewis St J R Clutterbuck, his wife Isabella. 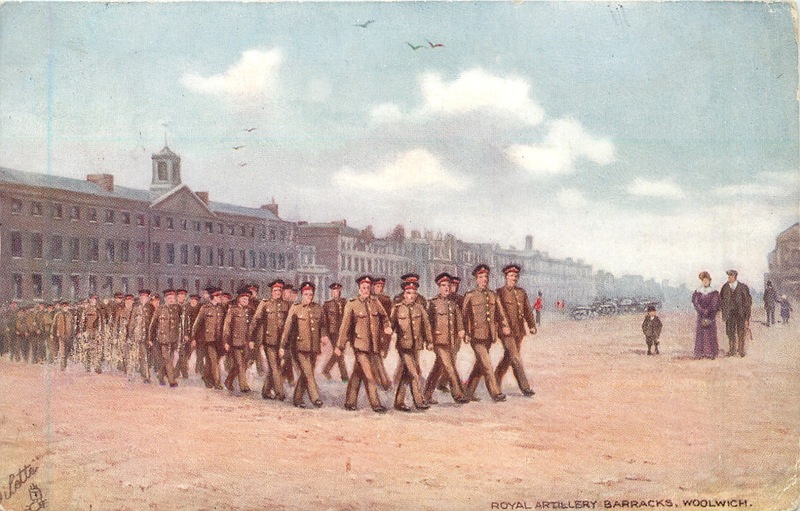 Lewis had been born in Dublin into an army family in 1885. 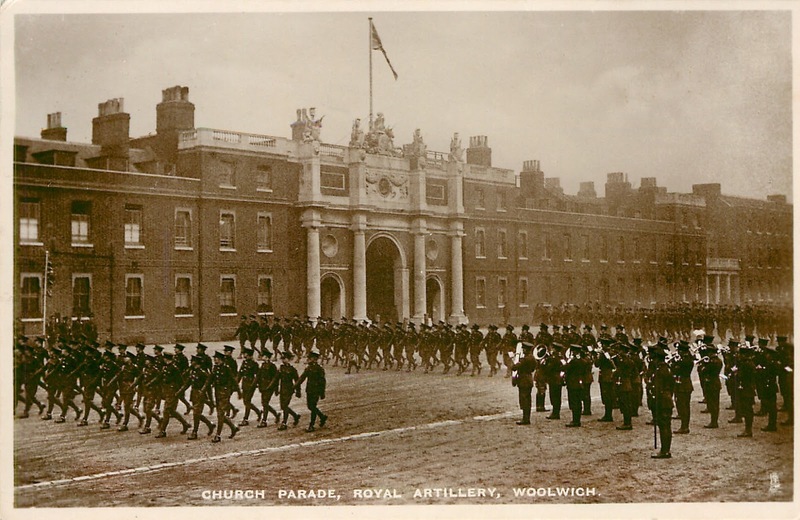 In 1891 Lewis and his parents were stationed in Chester Castle, and a decade later Lewis aged 16 was training to be an officer in Woolwich. He married Isabella in 1907 in Dundalk and by 1911 they were in Eltham but I suspect only just because Jessie their daughter had been born in Henson in 1909. And it is Lewis’s military record that allows us to trace him for the next fifty years. In 1916 he was sent out to the Western Front, survived the war and was back in south east London after the Great War. Now this I know this because in the October of 1919 when applying for his war medals his address was given as West Park Road in Eltham. Later for a short period he was in south West London before returning in the late 1920s to live on Westcombe Park Road in Blackheath. Here he may have stayed until the late 1930s when he moved to Bishops Waltham in Hampshire where he died in a nursing home in 1965. He had steadily risen through the ranks, from a Lieutenant in the Royal Field Artillery in 1911, to a Major by 1916 and a Colonel by 1932 and along the way became an O.BE. 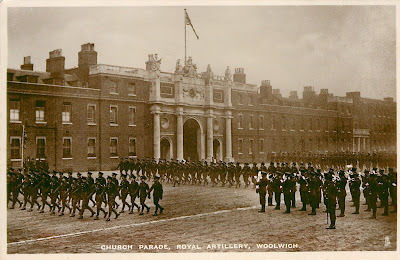 From 1932 he served on the Ordinance Committee of the Royal Arsenal and was still there five years later. Now there is a lot still to find out about him and his wife Isabella and Jessie, not least what they were doing living in Newcastle-upon-Tyne in 1941 which may have been a war posting. 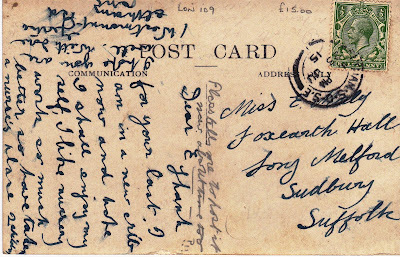 But it is enough to reflect on just where a simple postcard can take you.